In the pursuit of organizing my home for the next school year, I made a “color blocked” folder binder, notebook and pencil-case. When things look pretty, it gives me the motivation to use them and keep them nice and tidy! All my three kids will be in school next year and school supplies shopping has been in full swing. Sticker letters are from Pebbles” ABC Stickers found at Amazon. Foam brush found at any craft store. Pink washi tape or any masking tape you’d like to use. Pre-cut bird: I made this with at Ben Franklin die cut center. I used white chipboard and created the “ombre” effect mixing water and the paint mentioned above. Fiskars hand punch, 1/8 inch circle found at Amazon. The following photos mainly explain how much area to color block on the binder (7 1/2 inches of vertical space and for the notebook I a vertical area of 5 inches. Then for the pencil-case I painted the entire case with the same soy ink. You’ll notice that the binder, and pencil-case, have a pretty cord string wrapped around with ombre shapes I made before I delved into this project. 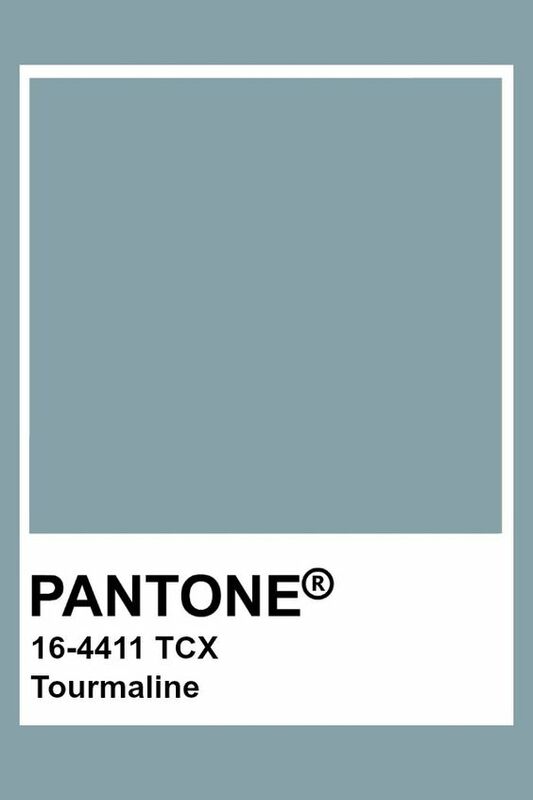 In fact, these pieces inspired the color palette for this project. Start with your binder and measure 7 1/2 inches of vertical area to mask. Mask your binder and 1 layer of paint. Wait until the first layer is fully dry until you apply the second layer of paint. While the paint dries, work on the wrapping cord. 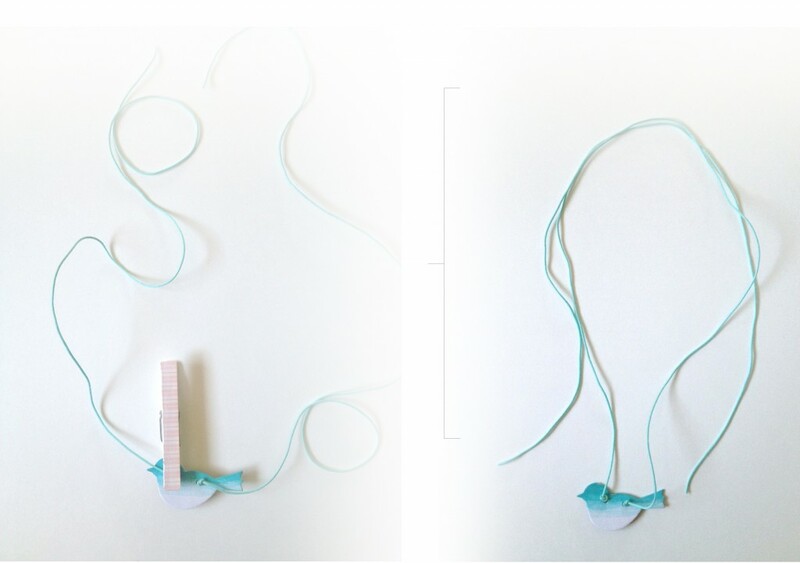 Before you start color blocking, you should design a shape that will go on the wrapping cord. Maybe you can try to make a few shapes and these will inspire the rest of your project. 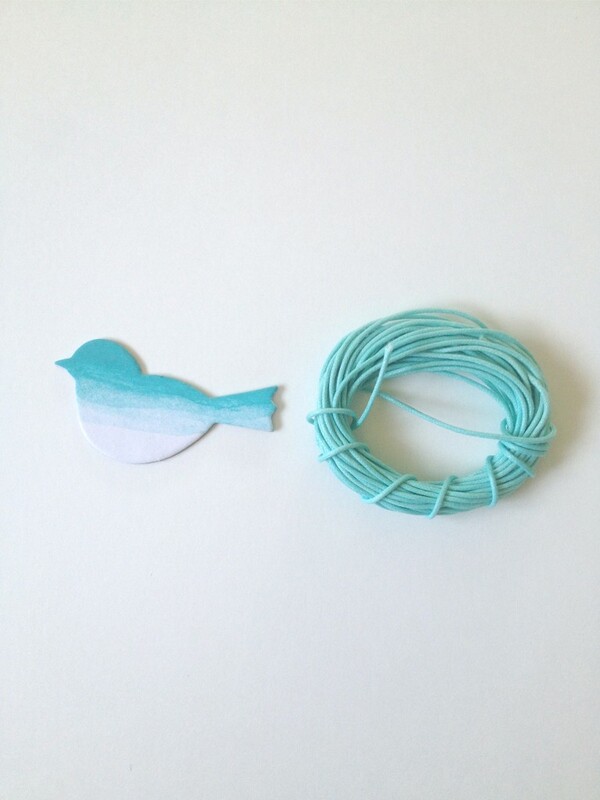 The turquoise cord is a 1mm Turquoise waxed cotton cord found at Jewelry Supply.com You will need 48 inches of cord for the binder. For the pencil-case, add 10 to 12 more inches to this. 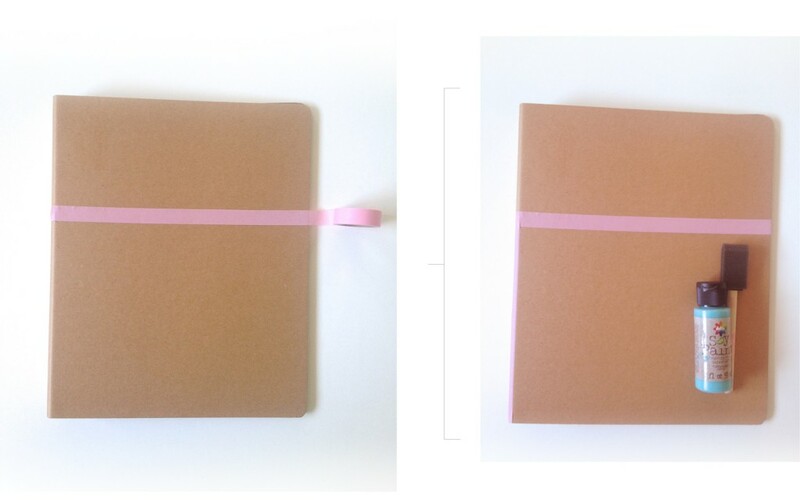 You can also add one to your notebook too. Punch 2 holes at the top center of your shape as shown above. 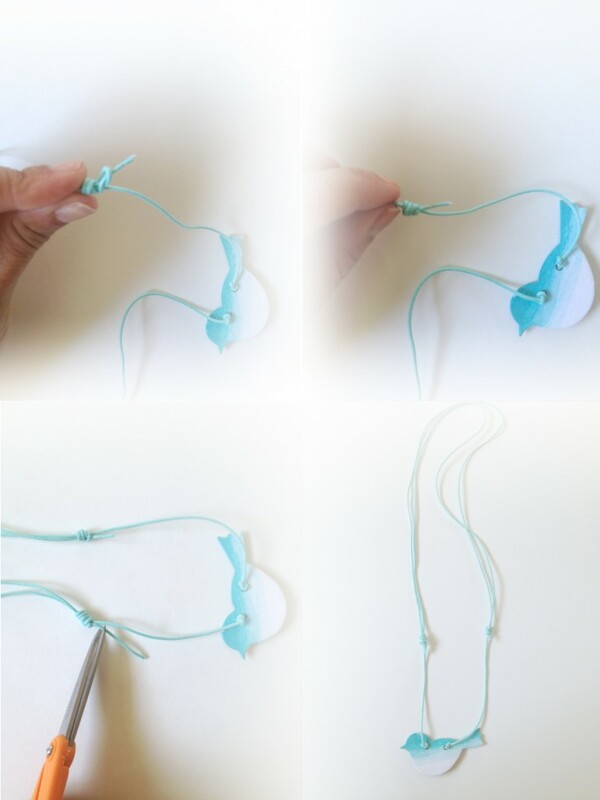 Put the cord through the holes and grab any clothes pin and “clip” one hole. Then make one knot on the other hole. 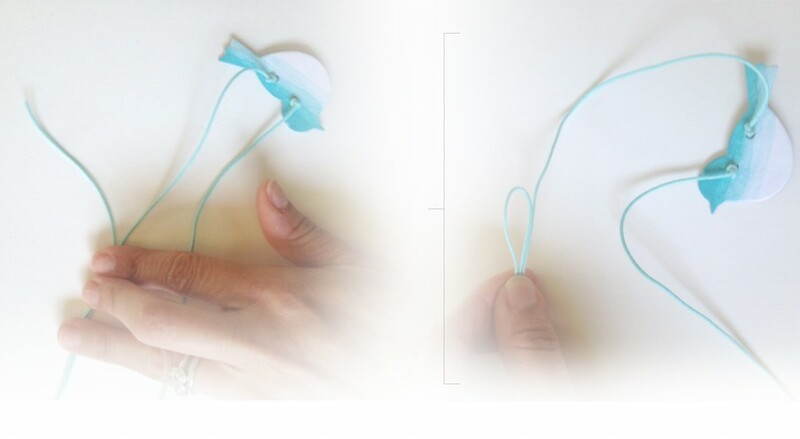 The clothes pin will keep your shape secured and centered. With your 2 knots ready to go, place the cord as shown above. 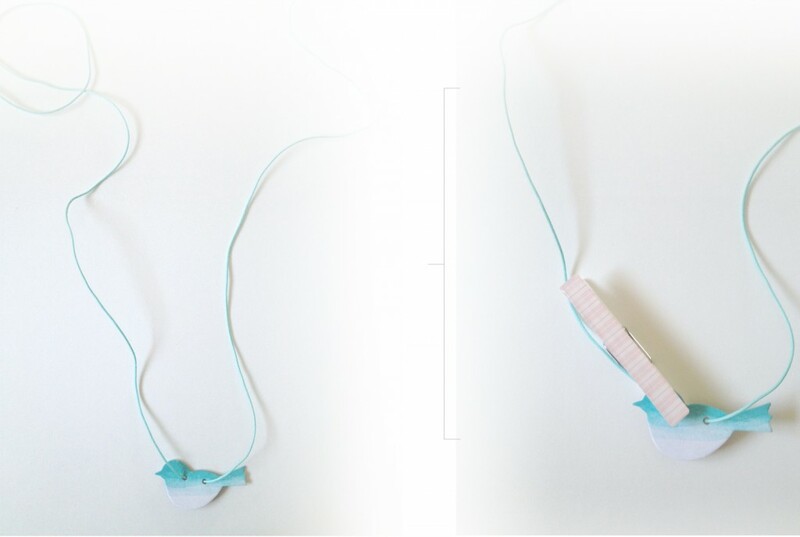 Basically wrap the cord the same way you would wrap it around your neck twice, to make a necklace. Use the same clothes pin to “pin” your cord. You want to have the same distance from the top of the loop to the center of your shape. 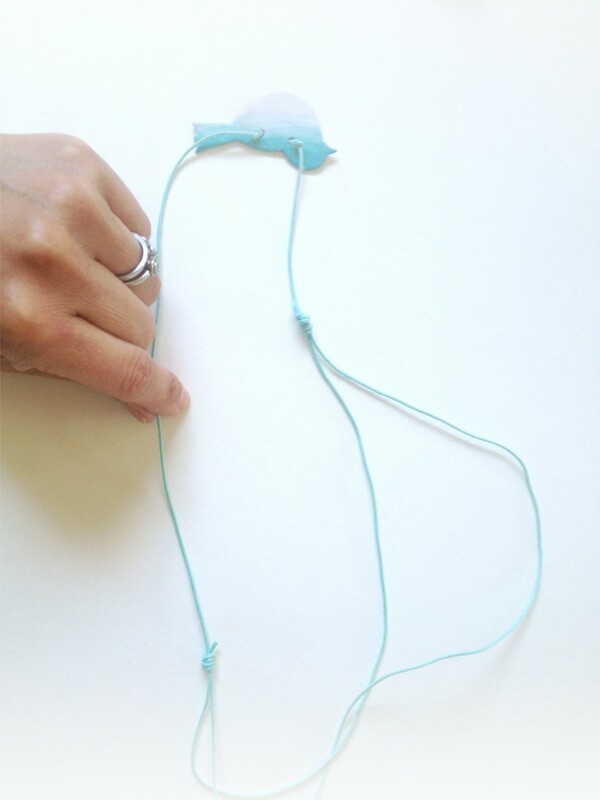 Now, grab one loose end of your cord and turn it backward away from your shape. ( How much cord I turn is more or less the size of my index finger.) Leave a loop like shown on the picture. Now, this can be tricky. Look at the top left photo and grab the end of your cord and wrap it around away from you 3 times. The order of the visual instructions are in a clockwise direction starting from the top left picture. Once you have wrapped the cord away from you, upon itself and put it through the loop, gently push the knot you just made, closer to your shape. 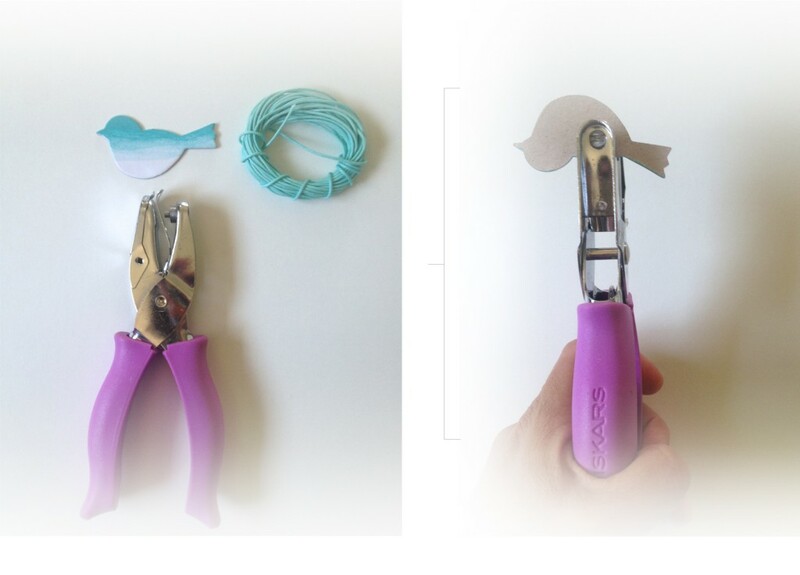 If you have a little bit of cord left, you can clip it like shown on the picture above. These visual instructions start from the top left photo and follow a clockwise direction. 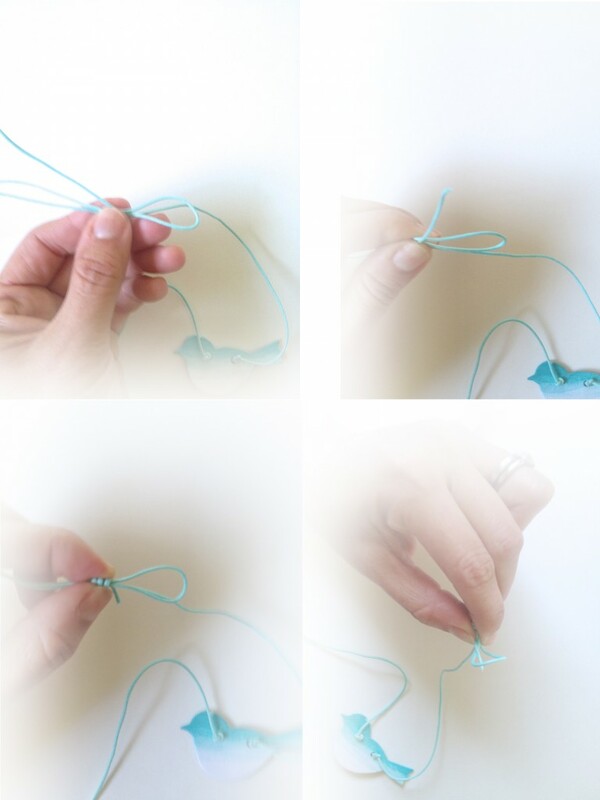 You will follow the same instructions for the knot on the other side of your shape and end up with two knots, one on each end like shown on the photo. Now the cord/”necklace” should be adjustable. 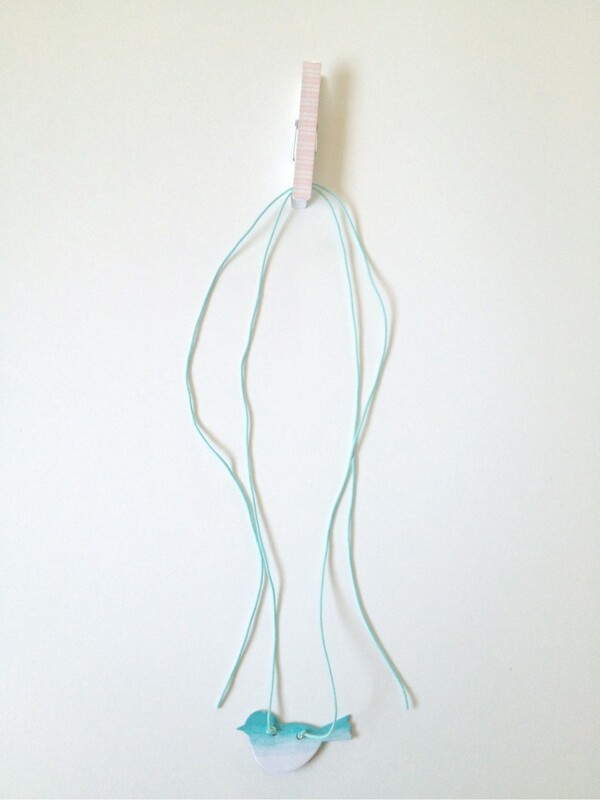 Your cord/necklace is longer in width and ready to be wrapped around your binder. Flip your binder and look at the picture below. Tada! 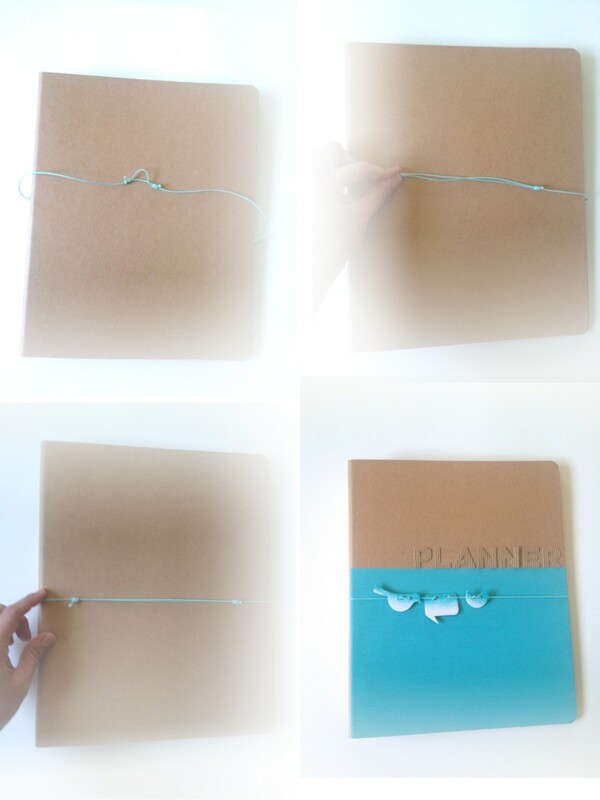 Adjust the cord to be tight around the binder and now you have a nice secure binder. 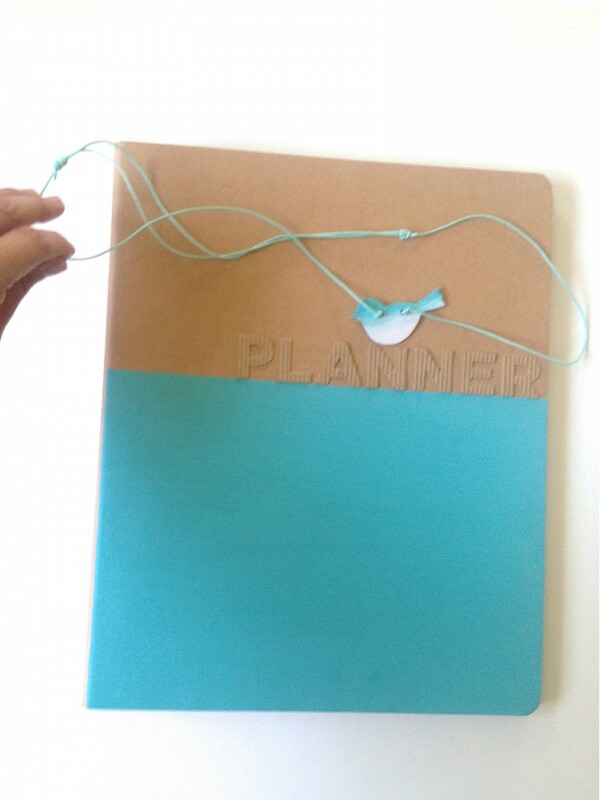 Lastly, unwrap the cord from the binder and use the alphabet stickers to spell “Planner” or your name or anything you’d like. The glue on the stickers is not very secure, so use glue to make sure they stay on. I’m so excited to share my first tutorial with you! I hope these instructions explain well the adjustable knot system. I learned how to do this watching a YouTube video I found while researching how to make jewelry. Please let me know your thoughts! I’m SO happy when you comment and I always reply to every single comment promptly! Cheers! You’re amazingly talented! I struggle with DIY. I’m happy I can learn via your tutorials. I love it! The little birdie is so cute! So pretty! I love those little birds! Hello Gemia, thanks for visiting my blog! 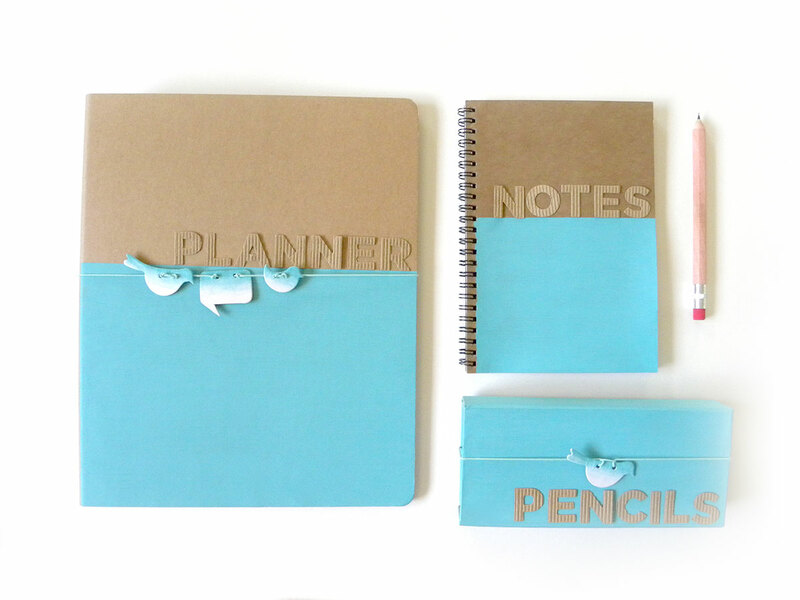 Back to school is fun to plan for :) I’ll swing by your blog too! Ursula! I love this binder and the colors. You are so creative! Thanks for sharing this at Throwback Thursdays. Hi Denyse! So happy you visited kraft&mint! I LOVED your idea of a throwback linky party ;) Will come by again for sure! This is such a neat project! My 7th graders would love to make this during our Friday enrichment time. Thanks for a great idea to use. Also, thanks for joining Throwback Thursday! How cool! I would love to see your 7th graders crafts if you get a chance to post some pics ;) thank you for visiting kraft&mint ! I loved throwback Thursdays!